A new book “China and Great Power Responsibility for Climate Change” argues that there are two principal reasons that great powers must play a leadership role in international climate politics. First, climate change is a source of potential international conflict. Due to their special responsibility to maintain international peace and security, great powers bear the main responsibility to respond to climate change. In practice, they should act out this responsibility by implementing ambitious greenhouse gas emissions reduction strategies at home. Secondly, climate change increases social disparities and causes severe harm to the well-being of human beings around the world. Given their responsibility to promote international justice and human values at a global level, great powers have a special responsibility to promote global endeavors to tackle climate change. For a hundred years, there has been an international consensus that great powers have special rights and responsibilities in international society. With the establishment of the United Nations Security Council, this responsibility was formalized and written into the UN Charter. In return, great powers got a veto right, which made them morally superior to other states. Right to veto also grants them a privilege to defend their interests or promote particular issues and ideas in international society. At present, great powers do not enjoy any privileges in international climate politics since they do not assign special responsibilities either. That said, there are signs that climate response is becoming an attribute of great power responsibility. This development started with the end of the Cold War when the environment started to be securitized. Many studies on environmentally induced conflicts were conducted. These studies fueled debate on the role of the UN Security Council in climate change mitigation: If seen as a risk to international peace and security, climate change can and should be added to its agenda. Since 2007, the UN Security Council has discussed climate change three times, which indicates that climate change is regarded as a threat to international peace and security. In 2009, the UN Secretary General’s report identified five channels how climate change could affect international security: vulnerability, development, coping and security, statelessness, and international conflict. Given their special responsibility to alleviate security risks, great powers can be thus expected to shoulder a special responsibility to respond to climate change. In rhetoric terms, the United States – at least before the term of Donald J. Trump – and China acknowledge great power responsibility for climate change. They have admitted that their climate cooperation establishes a ‘powerful example that can inspire the world. In particular, President Barack Obama made an explicit link between climate change and great power status in September 2014 by announcing that the US and China ‘have a special responsibility to lead’ the global efforts to tackle climate change because that is ‘what big nations have to do’. The election of Donald Trump, however, ended the US great power leadership for climate change. Due to its emerging great power status, China has begun to play increasingly important role in social processes in which great power responsibilities are being formulated. For China, climate responsibility is an appealing alternative to liberal political solidarist norms of human rights and democracy as a ‘standard of civilization’ and a moral foundation for great power responsibility. Although it opposes formal discussion on climate change at the UN Security Council, China seems to have started to agree on the idea that great powers should lead climate change mitigation and adaptation to it at a global level. It seems that China has realized that climate responsibility can cement its membership in the great power club. It has started to promote climate responsibility as an attribute of great power responsibility. In September 2014, for example, Special Envoy Zhang Gaoli announced at the UN Climate Summit: ‘responding to climate change is what China needs to do to achieve sustainable development at home as well as to fulfill its due international obligation as a responsible major country’. Since then, China has published all the key climate commitments at joint statements with the United States – a choice which indicates that it has made them in a reference to its great power status. In October 2017, President Xi Jinping announced that China will take a ‘driving seat’ in international climate negotiations. Because climate change mitigation does not hamper China’s national interests but provides it with a chance to represent itself as a global leader, it is reasonable to believe that China will not abandon the Paris climate agreement. A burning question is how China will use its growing leverage in international negotiations. Will it seek to re-establish the distinction between developed and developing countries abandoned by the Paris Agreement? Or, will it inspire the entire international society to implement efficient emissions reductions in time? If China manages to implement ambitious low carbon development plans and sustain economic growth, it has a lot of potential to act as an international role model. As an autocratic state, however, China lacks soft power at a global level. Therefore, it is not likely that China can be an inspirational global leader that can generate much-needed we-feeling and political will to tackle climate change in an international community. 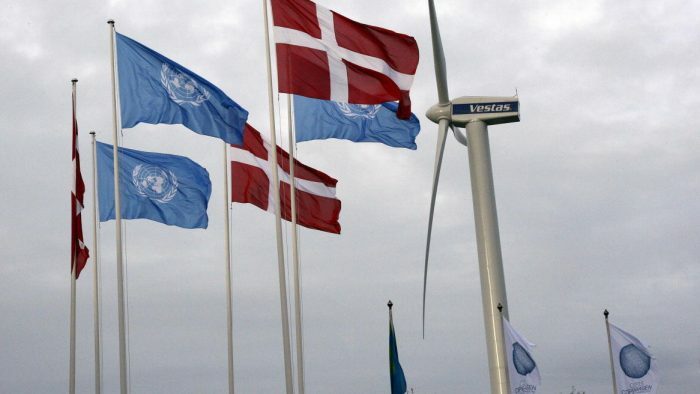 Without ambitious great power leadership, international climate negotiations remain in gridlock. As an established great power, the United States must renew its great power leadership for climate change at once. If it does not live upon its special responsibility for the maintenance of international peace and security, our chances to prevent dangerous climate change from happening look grim. Dr. Sanna Kopra is a postdoctoral researcher in the Arctic Centre at University of Lapland and affiliated postdoctoral researcher in the Aleksanteri Institute at University of Helsinki, Finland. She is the author of China and great power responsibility for climate change published by Routledge in August. Copyright © 2019 — E-International Relations. All Rights Reserved. Before you download your free e-book, please consider donating to support open access publishing. E-IR is an independent non-profit publisher run by an all volunteer team. Your donations allow us to invest in new open access titles and pay our bandwidth bills to ensure we keep our existing titles free to view. Any amount, in any currency, is appreciated. Many thanks! Donations are voluntary and not required to download the e-book - your link to download is below.